Sports massage is a systematic manipulation of the soft tissue of the body that can focus on muscles relevant to a particular sport or activity. Commonly it is used to prepare or recover for exercise and to aid recovery from injury. 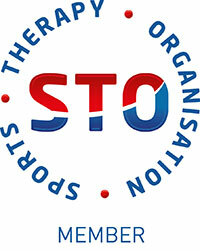 Manual therapy is where the Sports Therapist applies forces directly to the musculoskeletal system. The aim of manual therapy is to restore pain-free full range of motion. Manual therapy is used to correct abnormalities. Each abnormality detected in the clinical assesment must be considered as a possible contributor to the patients symptoms and signs. Manual therapy can be applied to joints, muscles (including tendons and fascia) and neural structures. If you require a sports massage or any other Sports Therapy treatment, please contact us on 01933 664444.